I love a good face powder and I always stick to the high street for powders as I seem to go through them so quickly. I have combination skin, in areas it's oily and in others it's super dry so it can be difficult to find a powder that actually works for me. I have previously tried the other two products from this line and loved them so I have no idea why it has taken me so long to try this! 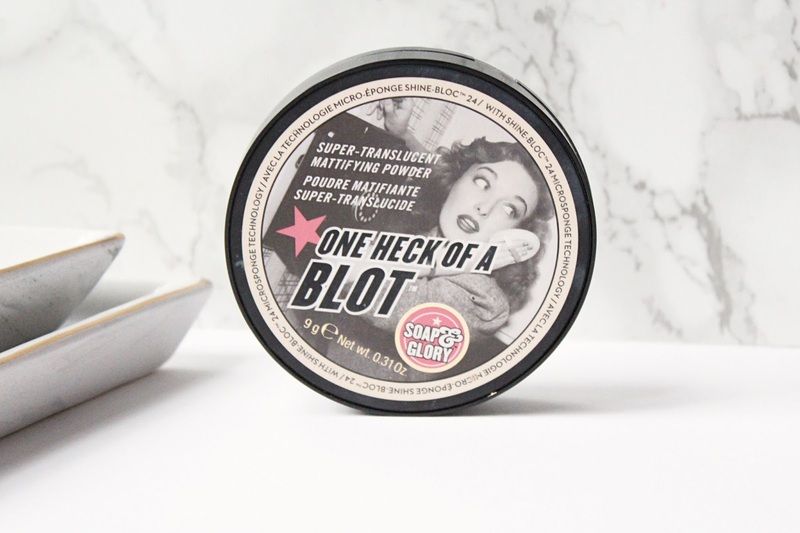 The Soap & Glory One Heck of a Blot Powder (£12) is a pressed powder that comes in gorgeous packaging in true Soap & Glory style. The powder itself has really cool embossing which does take a fair few uses to go away and inside the compact has a great sized mirror for on the go applications and touchups as well as a puff if you don't want to use a brush. The packaging feels like great quality, I've been keeping this in my handbag most of the time and I don't have to worry about it smashing and covering the inside of my handbag in powder. This is a powder designed to keep your skin shine free all day long and offers world-class shine control and oil-absorption while being ultra light on the skin and giving a traceless, smooth velvet finish. It's suitable for all skin types and comes in one shade which is pretty much completely translucent on the skin. You can use this anywhere you require or want to use it, I mainly use it on my forehead and chin, my oiliest areas but I have used it all over the face and I love it both ways. If you have dry skin, I don't think you would really need this but if you have normal to oily skin I would highly recommend it, it's made a huge difference for me. I have been using this since Christmas and I have been really enjoying it. 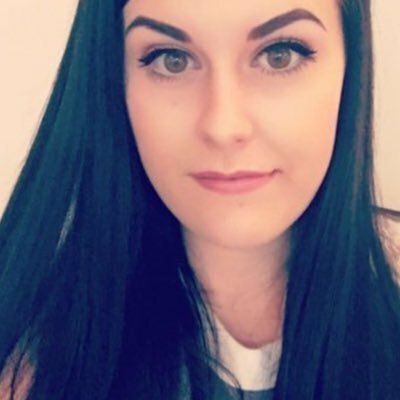 It looks gorgeous on the skin, it has a slight smoothing effect and doesn't draw any attention to my pores or texture issues. It does have a velvety effect on the skin which I love and it feels extremely lightweight on the skin while never actually looking like you are wearing any powder. This has been making my makeup last for hours longer than it would usually with any other powder and I like that it actually keeps the oil at bay all day. I always get oily in my T-Zone, even if I use the best setting sprays and this one actually keeps any traces of oil away all day long. If you have really oily skin then I would highly recommend getting the One Heck of a Blot Primer and Foundation too as when I use all three of these products together my makeup will not budge! The Soap and Glory One Heck of a Blot Powder retails for £12 at Boots - HERE.